I was having an interesting conversation with one of my Filipino colleagues. We were discussing the differences in how we grew up, challenges in the daily life and missing family back home. A lot of the female Asian community here in Dubai leave their children back home with grandparents to go abroad to work and send money home. The dads are all mysteriously uninvolved. It hurted my mummy heart to listen to this but I have learnt to understand to be grateful for what I have and sometimes people just got to do what you have to in order for their families to be safe. Even if it means seeing your child once every two year. I know, we can’t even start to imagine. We take so much for granted in our lives. While having this discussion she looked at me and said that so much is different here in the Middle East. How we live, how we talk, expressions….like “you have something in your nose”. I was like oh, ok what does that mean? I was wondering what that expression meant while she walked away to do grab on another desk. I told her that we have some funny expressions in Swedish. 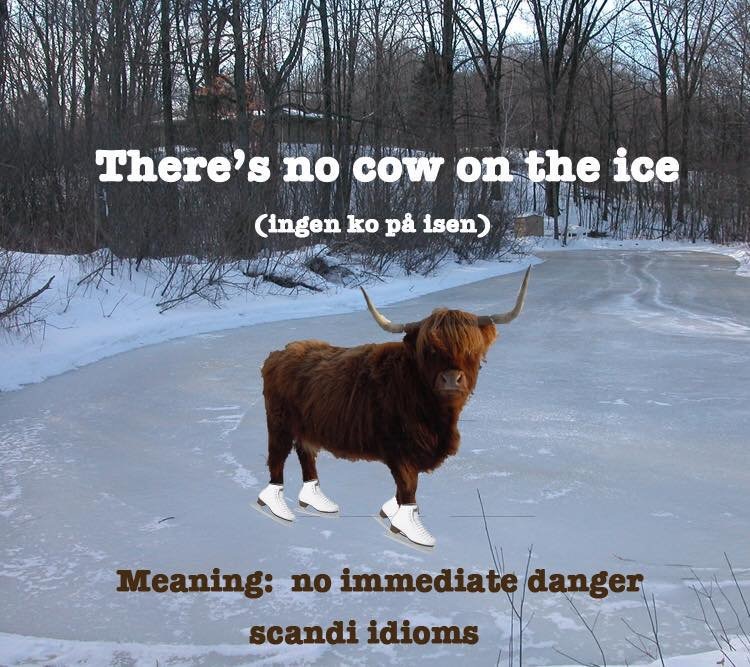 For example “there is no cow on the ice” means “don’t worry”. Makes sense right. She came back and sat down and said “your nose” again. I nodded slowly and tried to look interested while thinking this is a weird expression. Is she going to tell me what it means. I looked at her and waited for her to explain. She handed me a napkin and said “your nose…” and pointed. And that’s when I understood that I’m a stupid blond and actually had the biggest booger in my nose and the sentence didn’t have a culture meaning. It was just a straightforward wish from her side to remove the disgusting booger in my nose while I was sitting there doing nothing and just looking at her talk. I nodded and walked slowly and embarrassed away from the situation and to remove what was hanging out of my nose. And it makes for good memories !